Path of Exile was released on October 23, 2013 and certainly a lot has changed since then. However, I was not allowed to experience it, because I started my adventure with the game a few months ago from the beta version on Xbox One, to move to the computer version after it. In total, I spent several dozen hours with the work of the Grinding Gear Games studio, and discovering it five years after the premiere turned out to be a real pleasure. The first thing that surely is associated with the Path of Exile (even those who did not play it) is a skill tree. Skills at least from the name, because in fact all these branches offer the possibility of unlocking various perks, which will increase the damage inflicted on a particular type of weapon, allow faster recovery of health or develop some statistic of the character. You can read about the abilities themselves, because they have a separate paragraph, but returning to the skill tree (let us stay at this date), it must be said that it is HUGE, because it consists of more than 1,300 elements. Depending on the chosen character class, our hero begins his adventure on a tree in another place, but the Path of Exile does not limit the inventiveness of the player in any way, which in fact makes the initial decision only affect the starting statistics and available equipment, which very quickly it can be changed. This approach to the subject, in turn, means that in a relatively short time we can give up being a powerful warrior in favor of the magician, and - of course - combine these two classes into one, completely new. If you think that this is the end of combining, then you are wrong. During the game, we collect or buy jewels which we will place in slots located in particular elements of equipment (helmet, armor, weapons, etc.). Each of the gems has a specific color, just like the slot in which we can place it, which means that not everything fits everywhere, and in turn forces - and how - to combine. Especially that these gems really come in handy. Not only will they allow you to unlock individual skills so that we can deal more damage, and we can even convert physical damage to elemental damage. Gems also allow you to unlock additional attacks for our hero, which we will activate with a previously defined button on the keyboard or mouse. As you can see, the gems are really powerful, because they increase even the number of health points and mana (and even accelerate their regeneration), cause that we can block the opponent at any time for the attack or... And besides, there is so much that exchanging next examples are evidently misguided. 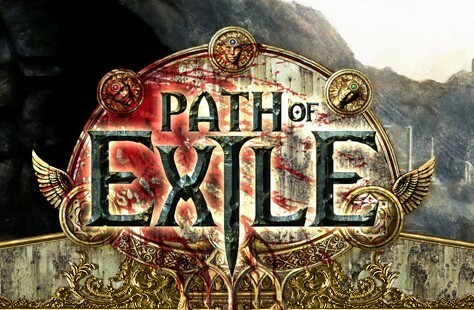 Path of Exile is naturally a MMO game, but quite unusual, because in essence we have a campaign divided into 10 acts, the completion of which is fun for about 40 hours, and after them we can still chop monsters and collect even better equipment due to the extended endgame based on maps, to which we gain access during the game and unlock with a special device. We can do all this solo. Really, but of course it is much better and nicer to beat enemies among friends or even in the company of random players who willingly share their knowledge (this was at least in my case when I received a number of valuable tips from him). Without a doubt, the Path of Exile enchanted me with the climate as well. This is extremely dark and even when exploring the forests, where the sun breaks through the trees, you can feel the amazing atmosphere here. Not to mention the dungeons filled with numerous traps, where the field of vision is limited to two steps forward, and the path is often illuminated only by spells cast by hordes of enemies. In the work of the Grinding Gear Games studio, it's in vain to look for colorful graphics, even if we see any colors on the screen, they are still suitably toned down, so the atmosphere in the game is really dense. And that's great because it connects very well with another aspect of the game. Path of Exile is undoubtedly a game about building appropriate builds of characters. If we invest badly points scored on the skill tree, with time may turn out that we have a tedious grind, because the regeneration of life is not at the right level, and opponents attacking with elemental power quickly kill our hero due to lack of resistance to this type of damage. This means that in the first pass of the game, when we are groping, you can easily get lost here, because the enormity of the ability to unlock and the number of games can really overwhelm you. But it does not change the fact that even if in the middle of the campaign we realize that we have done something wrong, we will want to fix it instead of throwing the game at the corner, because the fun of overcoming the creatures, even if it is only grinding, is indescribable here . So complex, interesting, atmospheric and giving so many amazing possibilities, the game certainly costs a lot, right? Not necessarily. Path of Exile hit the hack'n'slash market not only because of the greatly designed gameplay. Players appreciated the production also because it is available for free. FOR FREE. Of course, many games using the free-to-play business model over time turns into pay-to-win and we can download them for free, but after a dozen or so hours it turns out that without reaching the wallet we will not make further progress or we will have to spend in virtual many hours to get the PoE items you want. Here it is not. Digital transactions available from the menu allow only the purchase of cosmetic additives. None of them gives an advantage during the fight and this state of affairs (as I was able to learn from the network) has not changed from the very beginning and everything looks like it will remain so. As I mentioned, I spent a few dozen hours with the Path of Exile, first on Xbox One, and then on the computer. I still have the impression that I am at the beginning of my adventure and I do not regret it at all, because Grinding Gear Games has created a really phenomenal title, which can be successfully (and even should) be recommended to fans of the hack'n'slash genre, if not yet they heard. See you on the servers!